Are you cooking on the grill every day now that it's summer? We sure are! So now we have the fun of coming up with new and delicious ways to feed the family that use the grill for that one of a kind taste. 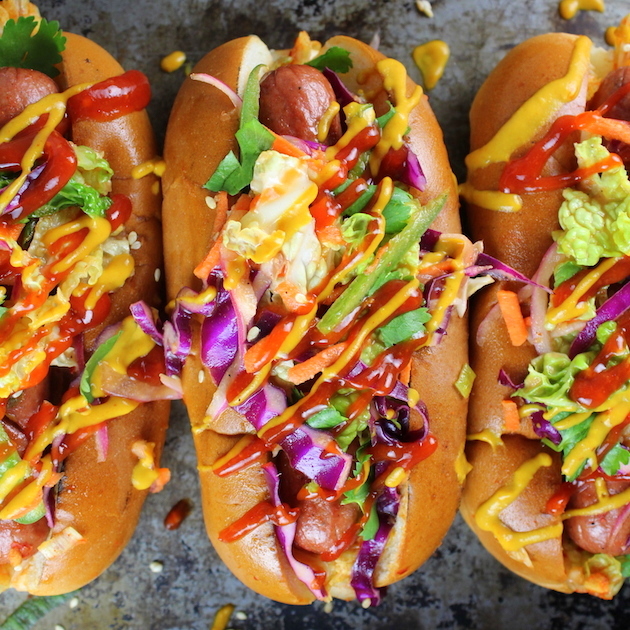 These Korean Slaw Dogs was posted by Foodista contributor Holly Sander, and it's as bright and flavorful as it is different. The secret ingredient; Kimchi, makes the topping sing. Perfect for dads and family alike, you have never had a hotdog off the grill like this one. As an extra treat, Holly has also included her Easy Kimchi recipe. So tasty!